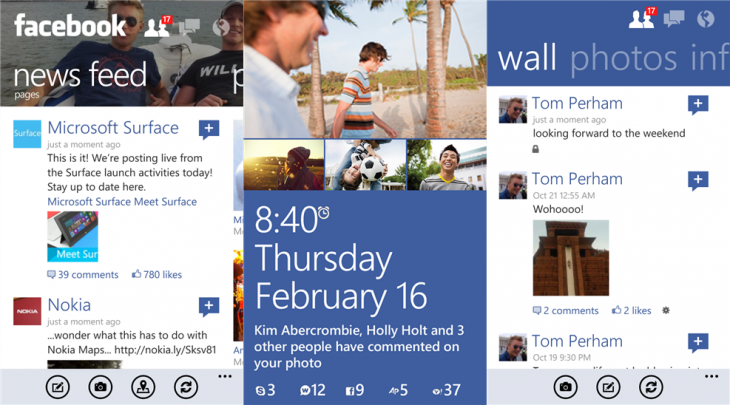 Microsoft today announced that the Facebook to Windows Phone app – Facebook 5.0 for Windows Phone 8 – has been updated with bringing a complete UI overhaul, high-res pictures, post sharing, timeline view and more. The company has been working on Facebook Beta program from quite a longer time and with this, it has bought up its first major update. The app updated with a lots of new features and improvements which the company claims “many of its users are looking for.” The changelog is yet to available from Windows Store but if you wish you can download the new version now directly from the Windows Phone Store.